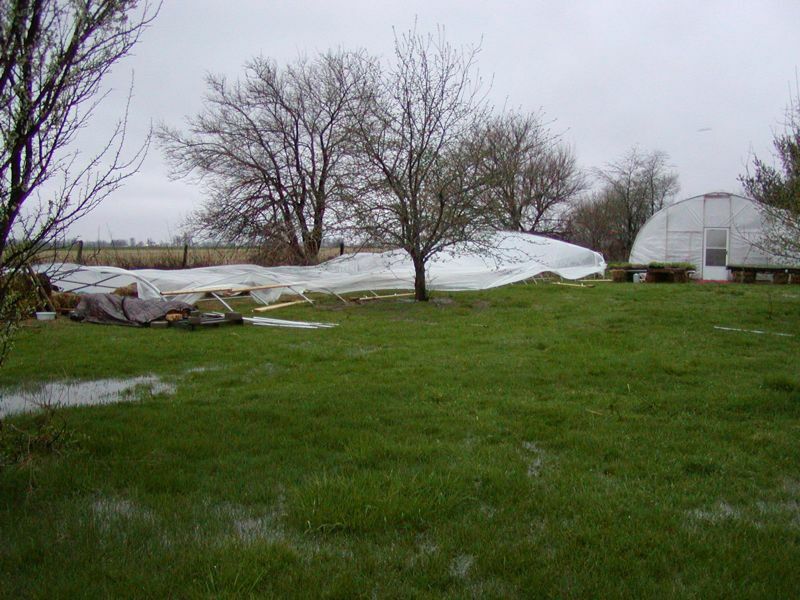 April was wet, and our 80 foot greenhouse fell down in a storm. These two things meant we started the month of May behind schedule. Two greenhouses were standing in a field. One was taken, the other was left. The 40-foot greenhouse has been overflowing with transplants ever since that time. When the ground is wet, the plants stay in the trays. The weather dried up enough to start field planting around May 15th or so. I got a few things in before that, but cold, rainy weather didn’t really encourage them to thrive. Our replacement greenhouse arrived on May 17th. Nothing like having it all happen at once! On Saturday, May 21st, some friends and work share members visited. The friends helped with the greenhouse & the work share members helped with the field planting. The weather was perfect- sunny during the day, followed by about an inch of rain to soak in the transplants after everyone went home. Cold, rain, and storms have been the rule, rather than the exception, for the last few weeks, but I think we’re turning the corner. 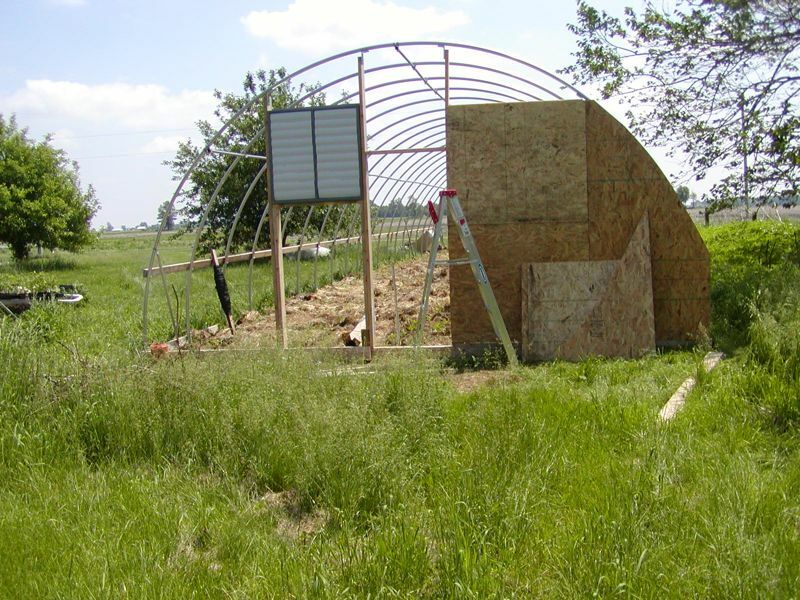 The new greenhouse is fully planted as of today, the west end is framed up with a fan installed, and we might actually put the plastic cover on this week. It’s 90 degrees out today, and the strawberries are getting ripe. Why didn’t I renovate the paths last summer again? We’re still behind schedule, but the dry, warm weather in the forecast for this week is a very good thing. June is off to a more encouraging start than May. Oh, and have you ever eaten garlic scapes? Because that’s the other thing we’re harvesting this week, brought on by the heat. This means another early year for garlic! Yesterday, the tractor quit running while Mrs. B. was working up the garden, and it wouldn’t restart. It’s done this before on hot days when the coolant was low, so we assumed that was the problem. Today, she tried to start it, but the key wouldn’t turn and the starter wouldn’t go. 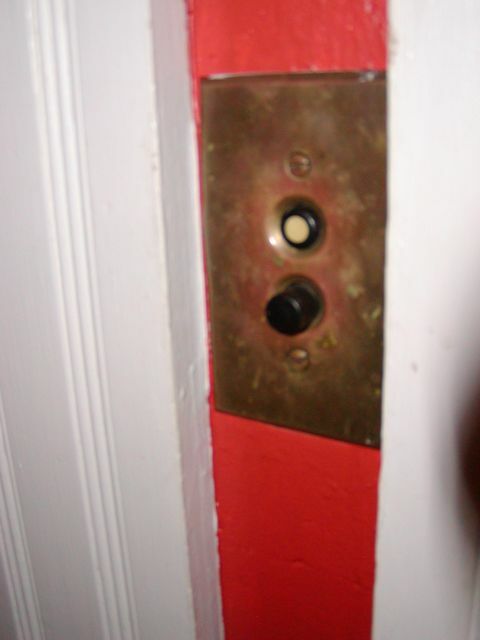 After getting some advice from Mrs. B.’s dad and the internet, I set out to investigate. 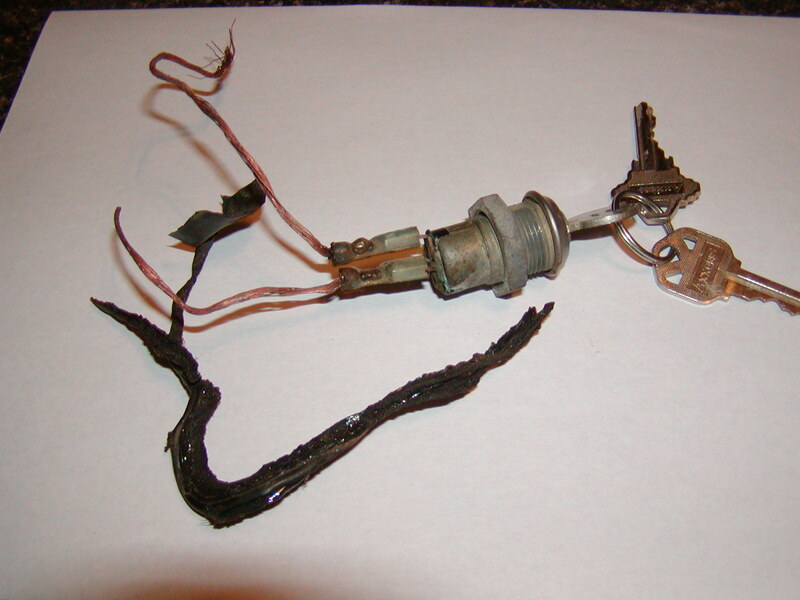 There were two problems: (1) the battery terminals were dirty, and (2) the ignition wires were fried. And now we’re back in business.